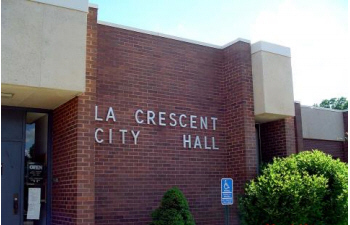 Do you have photos, historical accounts or other items pertaining to the La Crescent area? Would you like to share this historical information with the world? 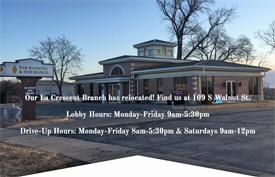 LakesnWoods.com would like to publish your La Crescent photos (current or historical) or historical accounts on this website. Original materials can be returned and your privacy will be respected. 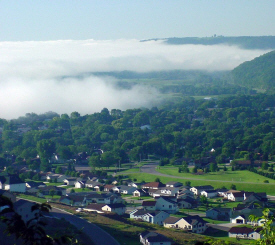 Located in the southeast corner of Minnesota, La Crescent is nestled between the Mississippi River and the picturesque bluffs. Rich in history and community pride, La Crescent is the "Apple Capital of Minnesota" and home to 5,114 residents. 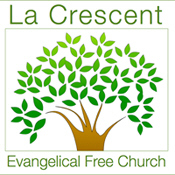 La Crescent is a city in Houston and Winona counties in the U.S. state of Minnesota. 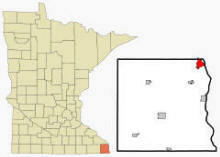 Although the entire population lives in Houston County, the city limits extend into Winona County a slight bit. 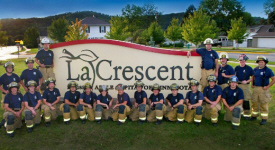 La Crescent is located directly across the Mississippi from La Crosse, Wisconsin. U.S. Highways 14 and 61; and Minnesota State Highway 16 serve as main routes in the community. The northern edge of La Crescent is skirted by Interstate 90 and I-90 Mississippi River Bridge. 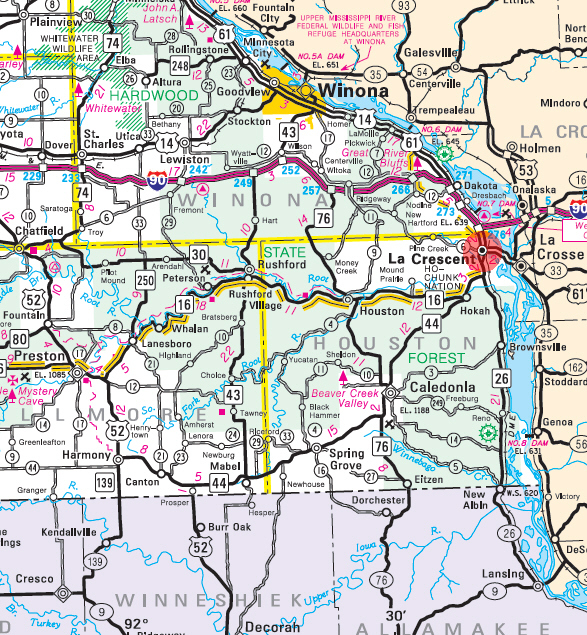 The Great River Road, a collection of state and local roads that follow the course of the Mississippi River, passes through La Crescent via US 61 and a short piece of MN 16. According to the United States Census Bureau, the city has a total area of 3.3 square miles (8.99 km²), of which, 2.94 square miles (7.61 km²) of it is land and 0.53 square miles (1.37 km²) of it is water. The elevation is 679 ft (207 m) above sea level. As of the census of 2010, there were 4,830 people, 2,012 households, and 1,370 families residing in the city. The population density was 1,642.9 inhabitants per square mile (634.3/km2). There were 2,126 housing units at an average density of 723.1 per square mile (279.2/km2). The racial makeup of the city was 96.5% White, 0.8% African American, 0.1% Native American, 0.6% Asian, 0.1% from other races, and 1.8% from two or more races. Hispanic or Latino of any race were 1.1% of the population. There were 2,012 households of which 30.7% had children under the age of 18 living with them, 55.2% were married couples living together, 10.0% had a female householder with no husband present, 2.9% had a male householder with no wife present, and 31.9% were non-families. 27.1% of all households were made up of individuals and 12% had someone living alone who was 65 years of age or older. The average household size was 2.37 and the average family size was 2.86. The median age in the city was 42.8 years. 23.5% of residents were under the age of 18; 6.8% were between the ages of 18 and 24; 22.7% were from 25 to 44; 30.4% were from 45 to 64; and 16.6% were 65 years of age or older. The gender makeup of the city was 47.7% male and 52.3% female. 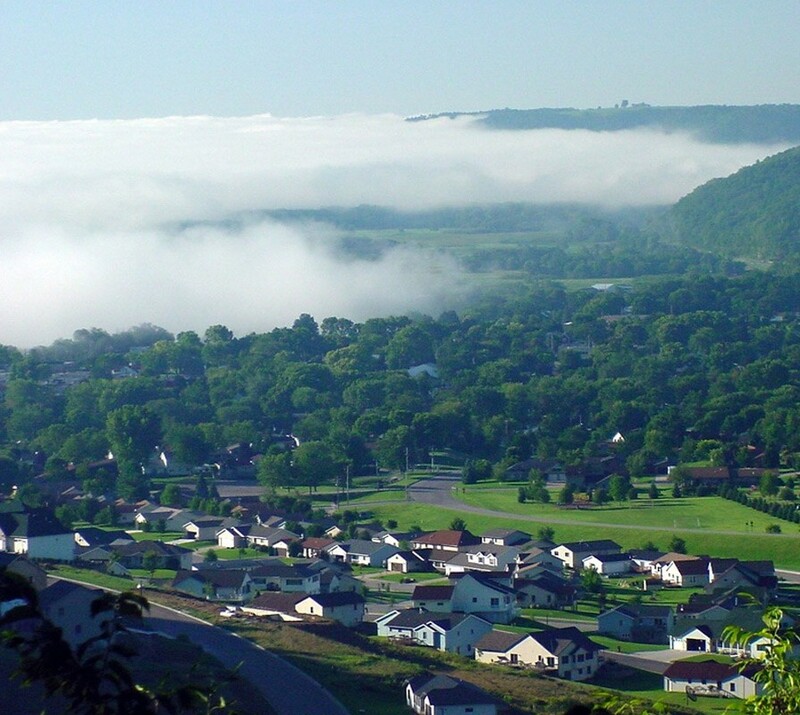 Sitting on the banks of the Mississippi River, La Crescent, Minnesota is surrounded by bluffs with views of the river. Humans have inhabited this area, which is abundant with wildlife, for thousands of years. The most recent inhabitants before the arrival of white settlers were the Dakota Indians, who were a branch of the Sioux, and the Winnebago. Following the 1803 Louisiana Purchase, Nathan Boone, youngest son of Daniel Boone was among the early surveyors of this area. The various Indian tribes who had lived here were relocated in the 1840s to accommodate white settlement. 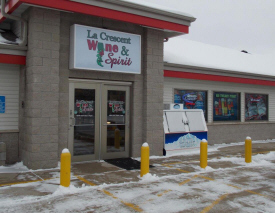 La Crescent was founded in 1851 by Peter Cameron and was originally called "Camerons". Peter and his wife, Emma, were two of the town's most colorful characters. Peter tried to dig a canal to change the flow of the Mississippi River so it would flow closer to La Crescent and bypass La Crosse, Wisconsin across the river. He died 10 weeks before its scheduled completion in 1857, and the canal was never finished, although the canal can still be seen in aerial photographs of the city. The Presbyterian missionary Sheldon Jackson lived in La Crescent prior to 1872, when he moved westward to Denver and later Alaska. 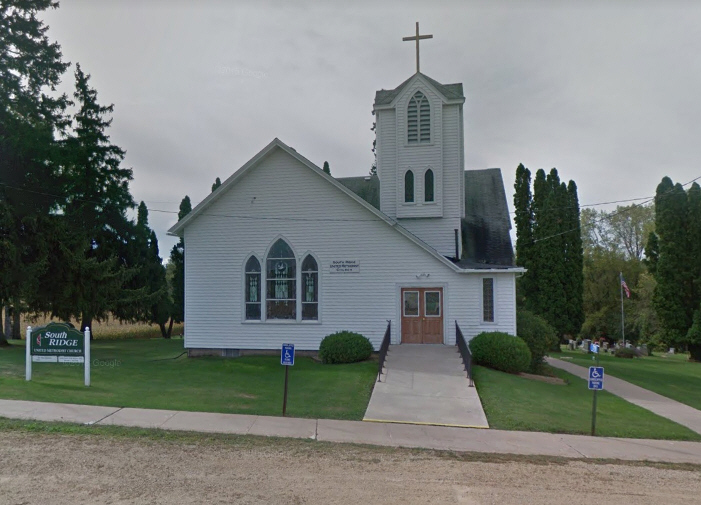 The second name of La Crescent was "Manton", named by William and Harvey Gillett, after they cleared the downtown area for settlement for Peter Cameron. In quick succession, the name of the town was changed again by the somewhat unscrupulous Kentucky Land Company, which was a land speculation company. 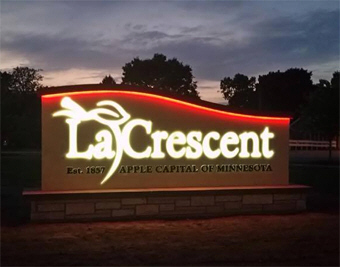 They wanted a more romantic-sounding name for the town to attract settlers and came up with "La Crescent", after the bend or "crescent" shape of the Mississippi River around the town. La Crescent incorporated in 1857. 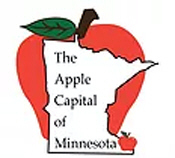 John S. Harris arrived in La Crescent in 1856 and soon gave the town its identity of "Apple Capital of Minnesota", a title that the city copyrighted in 2002. Despite the belief "by 99 out of 100” people that apples could not grow in Minnesota", Harris planted his first apple trees here in 1857 and experimented with them until he grew trees hardy enough to withstand the severe Minnesota winters. He planted thousands of apple trees and hundreds of varieties, a full half of which he said were complete and total failures. Harris became known as "Father of the Orchardists" in Minnesota and was also a founding member of the Minnesota State Horticultural Society. 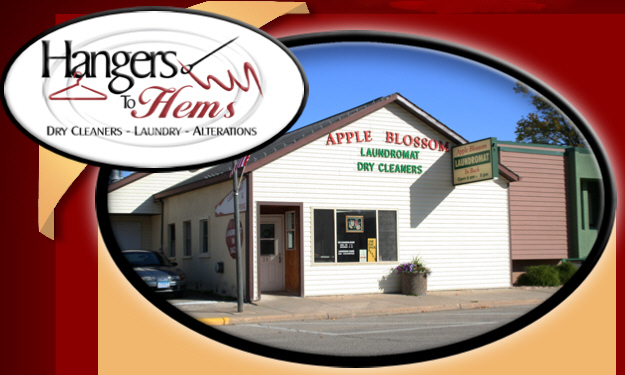 Since 1948 La Crescent has celebrated this apple heritage annually with a weekend festival known as Applefest. La Crescent has entertained a number of businesses throughout its history, but the one that has endured the longest is the apple industry. 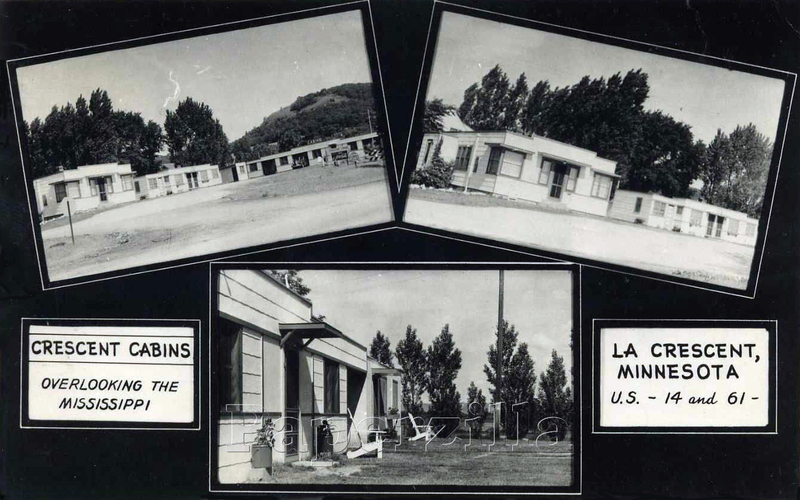 Around the 1940s La Crescent had about 40 small orchards in and around the city. 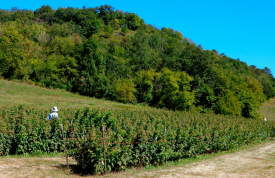 Although the number of orchards has dwindled to less than a dozen, the area is about the same, as the orchards have been expanded in the bluffs farther away from the city. La Crescent grows gourmet apple varieties not found in most other places. Eighty percent of its apples are sold in Minnesota, although they are also exported to surrounding states and Canada. The first building in the city of La Crescent, 1851, was a log cabin trading post built by Peter Cameron and operated by his brother, David Richardson; in 1851 Harvey and William Gillett platted a village naming it Manton, with a post office by that name beginning in 1856, with William Gillett as postmaster; the site was sold to the Kentucky Company, a real estate venture, who renamed it La Crescent. The village had a station of the Chicago, Milwaukee, St. Paul and Pacific Railroad in section 3. The Council meets the second and fourth Mondays of each month at 5:30 pm at City Hall. Overlooking lock & dam #7 on the Mississippi River, Dresbach is a wonderful first stop in Minnesota. Take exit 276 off of westbound I-90. 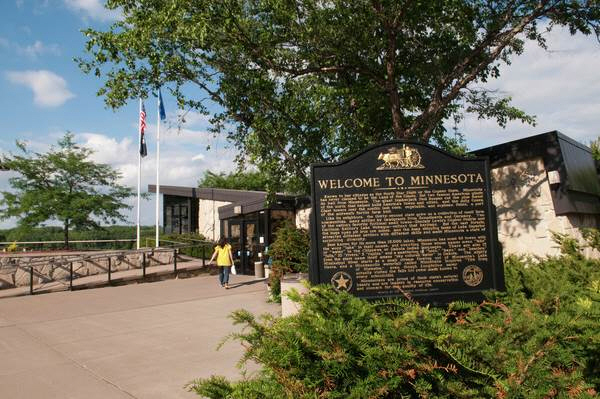 Free maps, brochures and other helpful Minnesota travel info. 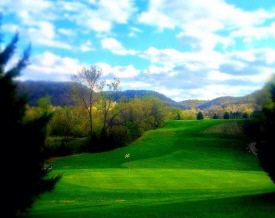 Pine Creek Golf Course is a beautiful 9 hole course located right outside of La Crescent. Gundersen Health System is where caring meets excellence through a comprehensive health network of wholly owned services and regional partners. It's where nationally recognized quality meets dedicated, compassionate professionals, caring for patients in all stages of life. And we bring that care as close to you as possible, with regional partners and clinics, eye clinics, nursing homes and more. La Crescent Health Services strives to be your home away from home. 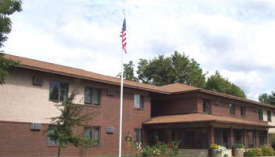 As the sole skilled nursing facility in La Crescent we are able to serve residents in their own community. Our Dedicated team of healthcare professionals provide respectful, professional care and are available to meet your needs 24/7. Crucifixion School offers a quality Preschool/4K through 6th grade program in an environment built around faith development. Our staff gives the extra effort to provide a nurturing learning environment and takes pride in incorporating value lessons throughout the school day. 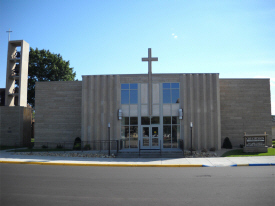 Crucifixion Church is an active parish in La Crescent, MN, with more than 700 families and a 130 student school. Crucifixion Parish is a Catholic community that invites and encourages all to live a faith-filled journey with Jesus Christ. 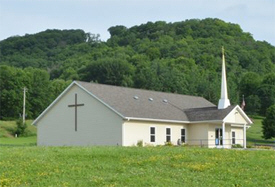 Immanuel Evangelical Lutheran Church is located 5 miles west of La Crescent, MN on beautiful South Ridge. 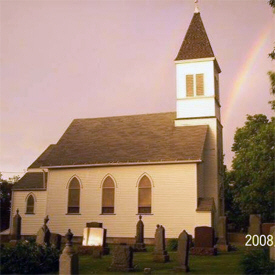 For over 130 years Immanuel has been proclaiming the Word of God in all its truth and purity. Immanuel is currently served by Pastor John F. Unnasch. We worship together every Sunday morning at 10:30. 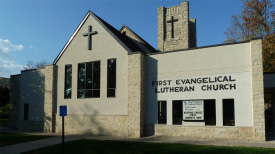 During the school year there is also a Sunday school program from 9:30-10:30. Please contact us for more information about Immanuel and what we teach and believe. La Crescent United Methodist Church has been a welcoming congregation in La Crescent for over 150 years. Our church has a rich history in the town of La Crescent, MN. 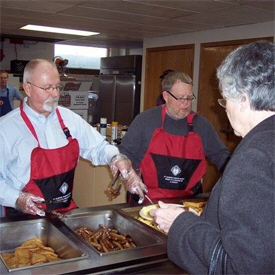 The La Crescent UMC is known in the community as the church that can respond well in crisis and also serves the needs of the less fortunate every day. 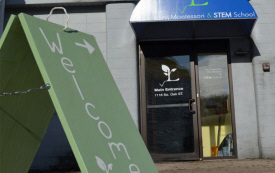 We are known for showing “radical hospitality” to visitors, members, and the community. 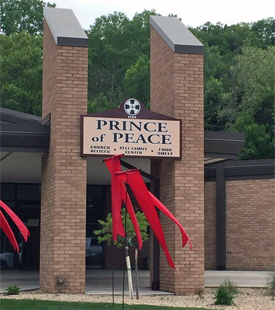 We are so glad that you have found our website and hope that you will take some time to explore and learn about the people of Prince of Peace. However, there is nothing like being within our community to get the feel of our faith and our commitment to doing God's work in the world. 7 Rivers Mechanical LLC is a family owned and operated Plumbing and HVAC firm located in La Crescent MN serving the tri-state area. At Ability Building Center, our mission is to improve the quality of life in Southeastern Minnesota by providing rehabilitation and employment services for persons with disabilities and other special needs. Acentek provides Technology Solutions to Business or Residential, such as Phone, Video, Data Services and IT infrastructure . The Altra Federal Credit Union Difference We offer the same products and services as a bank, but our corporate structure is different. 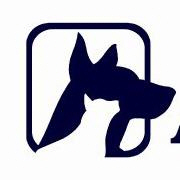 Altra is a not-for-profit financial cooperative and each member owns one ‘share’ of the Credit Union. We have no outside stockholders or investors, and management decisions are based on what’s best for our membership – not what will generate the most profit. We return our extra earnings directly to our members through better rates, fewer fees, and the tools and resources you need to successfully manage your finances! Licensed in: MN, WI, IA As your American Family Insurance agent, I can offer you dependable auto, home, business, health and life insurance, as well as other insurance products. 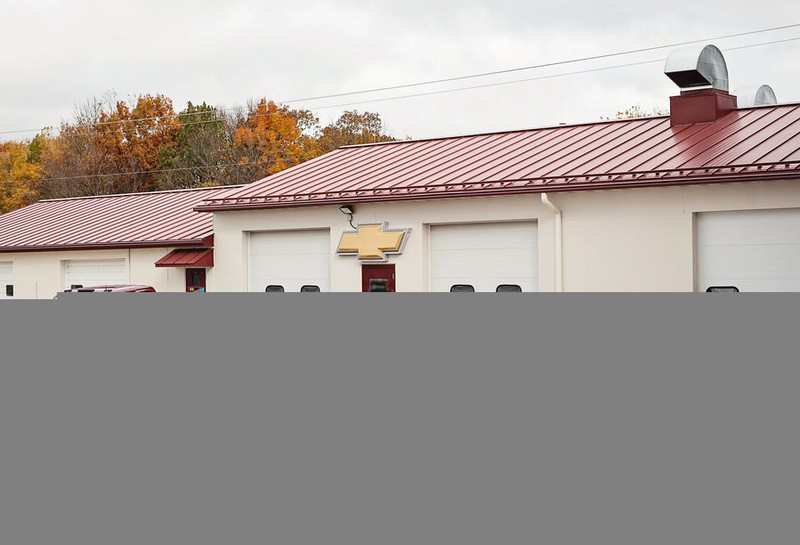 Auto Authority Inc. in La Crescent, MN, is your one-stop source for quality auto accessories and more. Count on reliable window tinting, with lifetime warranty window film, and dependable car audio and video from our professionals. Ensure your comfort and safety by having us install state-of-the-art remote starters and ignition interlocks in your vehicle. Bauer’s Market and Garden Center is a family-owned and operated business, serving the Coulee Region and beyond for 60 years. We work hard to provide you with the best in premium gardening products and solid advice to make your ideas bloom into beautiful creations. Inspire your green thumb and visit us today! 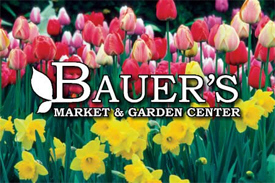 Bauer’s is more than just a garden center. We also have unique products in our market including the finest in local foods, seasonal treats, giftware, and much more! Our computers are built with the highest quality, name brand components, ISO 9002 certified manufacturing processes, and designed for Windows® certifications. These systems are built and tested in a clean-room environment, not built from parts in the back of some small retail store. 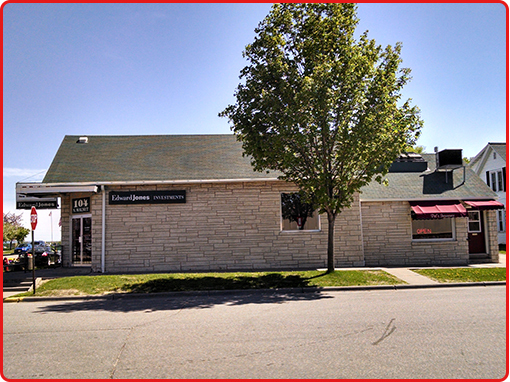 We’ve been delivering quality chiropractic care to La Cresent, La Crosse and the Coulee Region since 2005, and Dr. Christopher D. Wood is in his eighth year locally as a chiropractor. Cindy Gerke and Associates Inc.
Clara House Senior Living is a leading provider of assisted living services to the communities of southeast Minnesota and west central Wisconsin. Residents of the Clara House enjoy the comforts of home and the personalized services they need and prefer in one of our freestanding residences located in the beautiful Mississippi River Valley. Clara House offers 24-hour high quality care in a quiet residential setting to those who require assistance with activities of daily living. 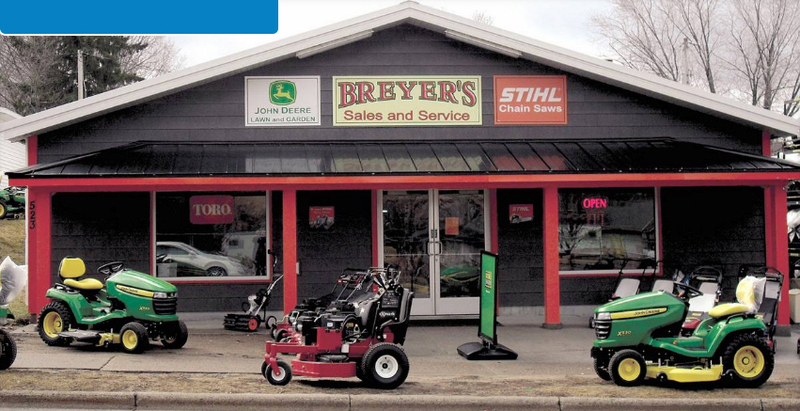 The "Do-it-Yourself" Landscape Supply Center We are located in La Crescent, MN, just across the river from La Crosse, WI, and have been in business since 1994. 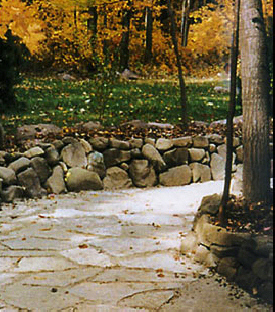 We offer decorative stone and landscape supply products. Starting in 2008, we will also offer unique garden art, specialty gifts, and home decor for inside and outside. We are proud to be one of the area's foremost leaders in landscaping products. We offer products and experience to both the contractor and the do-it-yourself person. This little shop offers an exclusive deal to all patrons of the Minnesota Renaissance Festival. We'll find a costume that suits you, aid you in dressing and after some brief paperwork, send you off for a day of fun! Costumes are First-Come, First-Serve. If you are interested in purchasing a costume, we do have a small amount of stock available, however most of our sales are by Special Order. Please use the Contact Us form to submit any queries for such a costume. 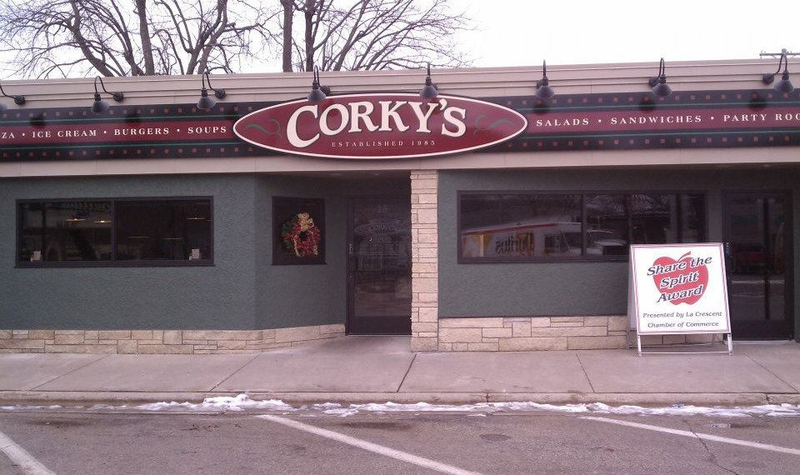 Corky's Pizza and Ice Cream is expanding, with a separate room for large group seating for up to 54 people. Crescent Moon Retreat is located in beautiful La Crescent Minnesota. 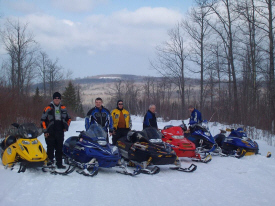 The retreat is just 5 minutes from La Crosse, Wisconsin with several quilt and scrap shops. Located just off I-90, we are an easy 2 1/2 hour drive from Minneapolis-St. Paul or Madison and only 1 hour from Rochester, MN. We have a comfortable and beautifully decorated retreat for your group to stay, quilt, scrap or just relax. We will accommodate groups of 4 to 10. Crest Precast manufactures precast buildings for above ground storm and tornado shelters. Shelters are constructed using FEMA guidelines 320 and 361 and are designed by a structural engineer to exacting standards. Crest Precast manufactures also manufactures grease Interceptors, precast water tanks, and pretty much anything precast. 34 1 bedroom apartments for 62+ or disabled persons. Rent is based on 30% of household's income. Off street assigned parking with plug-ins, on-site laundry, community room & elevator. Roll-in showers available in handicap unit. 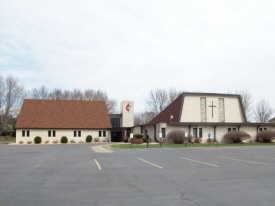 Close to LaCrosse, WI, shopping, churches & schools. 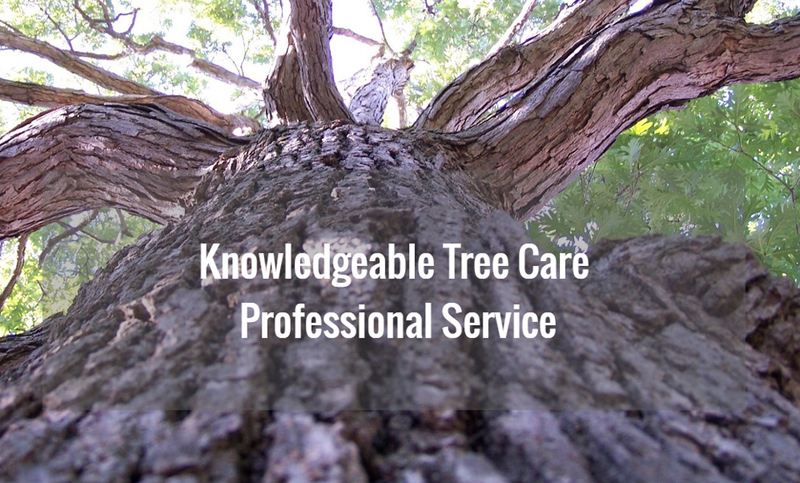 Crimson Leaf Treecare offers a variety of services, including pruning, planting, cabling, storm cleanup, lightning protection, and tree removal. We have been in business for over 9 years and have over 15 years of experience. Ritchie is the owner and manager of Crimson Leaf Treecare. Destination Dental is confident in our services because we combine compassion, technique, and technology. Our office offers a caring and comfortable environment that will help ease your dental anxiety. If you haven’t visited a dentist in years, or are unsure how to transfer your previous files, there’s no need to worry. Come in for a fresh start to your dental care plan. Each new patient receives a brand new baseline report to create your personalized dental care plan. Our staff is dedicated to making sure you receive a top of the line dental care experience to improve or maintain your dental hygiene. We make sure you feel well informed about any dental care services or procedures you receive. Wieser Precast-Doric Vault is a third generation-family owned and operated business. 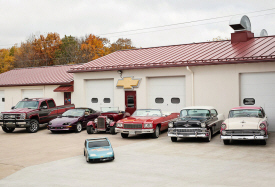 Our family has been serving the Tri-State area of Minnesota, Wisconsin, and Iowa since 1969. We manufacture, deliver and install pre-cast steps, ornamental railings and spiral staircases. We enjoy working with our customers to create custom concrete and steel products. We also provide Doric brand burial vaults, urn vaults, and cremation urns to funeral homes. At Edina Realty, we believe that an informed buyer or seller is an empowered one. We offer as much information online as possible, and our agents can fill in the gaps that data can’t provide by offering insights you can use throughout the home buying or selling process in Minnesota and western Wisconsin. Extremely Clean has been in business for 10+ years. 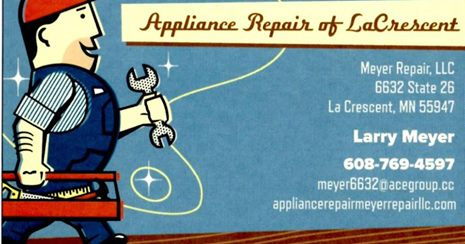 We work in La Crescent, La Crosse, Onalaska, Holmen & surrounding areas. References available. With sixty years of real estate experience and a staff of professional REALTORS®, Gerrard-Hoeschler can fulfill all of your real estate needs. Wanting to buy, sell, build, or needing to relocate? Wipe the sweat from your brow, because we have got you covered. Gerrard-Hoeschler REALTORS® has the most skilled and knowledgeable sales team in Western Wisconsin and Southeastern Minnesota. Contact our office today to be set up with one of our AMAZING agents! Provides professional massage therapy to the people of the La Crescent, MN and La Crosse WI areas. 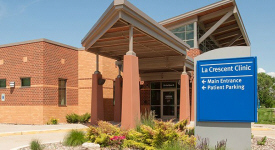 We are located in La Crescent which is less than a 10 minute drive form La Crosse. Please browse our website and learn about the numerous benefits of massage and bodywork. You may also contact our staff if you have questions. Since Heth’s Hardware Hank was opened, the store’s changed in many ways. Now, more than fifty years later, all sales and inventory go through a computer, a rental center has been added, and they employ almost twenty people. Thank you for the continued support! A family farm run by Harry & Jackie Hoch. 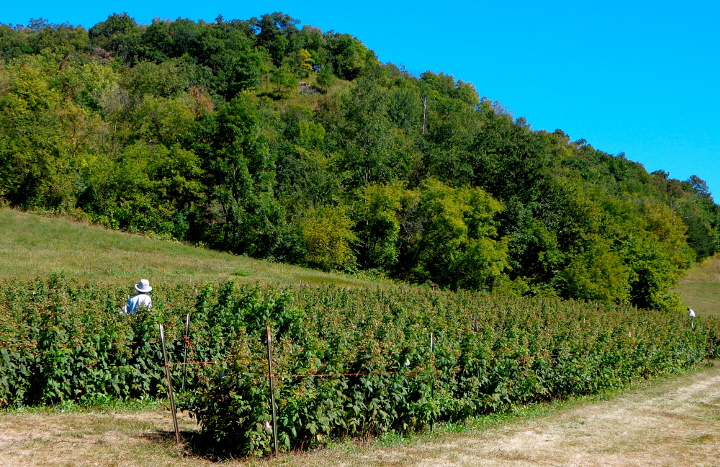 All of the fruit on our farm is grown and certified organically. We have over fifty apple varieties planted on our farm, plus two acres of wine grapes, various berries tree fruits & livestock. International Award Winning Videograpy, Featured in the La Crosse, Wisconsin & Rochester, Minnesota "Wedding Magazine". Artistic Video Productions offers wedding videography in the tri state region of Minnesota, Wisconsin and Iowa. Tim and Lori Kadlec bought the 'Kafe' on the corner of Main Street. It is a family owned and operated business! Kids' Company is... School age child care for children grades Pre-School through Fifth, before and after school. Kids' Company is committed to providing a safe and caring environment for children! Registration available online, at the Kids' Company site or at the Community Education office. If you’re looking for high quality and personal service, you’ve come to the right place. 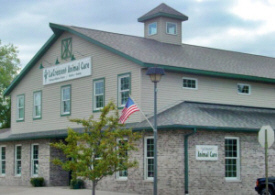 At La Crescent Animal Care we’ll give you the attention and personal service you’ll come to expect and enjoy. We offer the best in Dentistry, Orthopedic Surgery, and Laser Treatment. La Crescent Animal Care has been located in La Crescent since 1995. Let us put our experience to work for you. 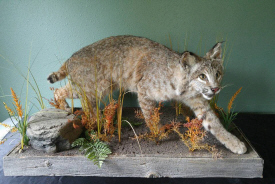 La Crescent Animal Rescue became a non-profit organization in 2005 with a mission to provide shelter, care, and new homes to animals in our area. We are committed to being a no-kill shelter, which means we are always looking for both foster and permanent homes. La Crescent Auto Repair is a full-service preventive maintenance and auto repairs center in the La Crescent, MN 55947 area, specializing in General Services, Car & Truck Care, Undercar Services, Alignment, Brakes, Tires, Engine & Transmission, Engine Maintenance, Transmission Services, 4x4 Services, Heating and Cooling Services, Electrical Services, Electronic Services, Miscellaneous Services, Domestic Cars & Trucks and Import Cars & Trucks since 1988. 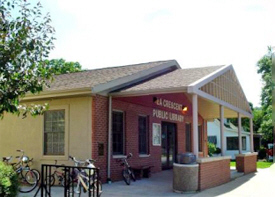 La Crescent is located in southeastern Minnesota on the Mississippi River. While the area is rooted in the apple industry - Legislative action officially designated La Crescent as the Apple Capital of Minnesota - our businesses are inspired by the scenic bluffs and the river. We are fortunate to be home to three scenic byways - The Great River Road, Apple Blossom Drive and Historic Bluff Country National Scenic Byway. We invite you to learn more about our chamber, our community and our members. 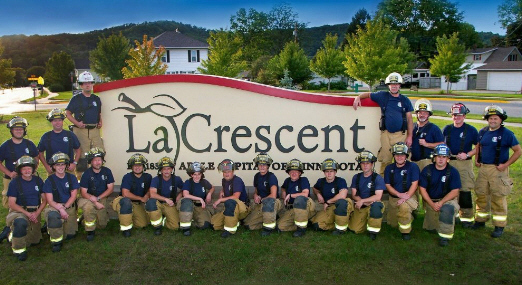 Established in 1920, La Crescent Fire Department responds to over 300 calls per year with approximately 70% of those are medical or rescue in nature. The department’s emergency response area includes the City of La Crescent, La Crescent Township, Dresbach Township and Mound Prairie Township, as well as providing mutual aide to area departments. Established in 1947, La Crescent Insurance has proudly provided comprehensive insurance solutions throughout Houston County and the surrounding area. With more than 65 years of service supplying the insurance needs to families and businesses, we are a trusted source for home insurance, auto insurance, business insurance, medical insurance and more. At La Crescent Montessori & STEM School (LMSS) we care about every one of our students. We truly build a sense of community where every member is responsible for the well-being of each other and the school. 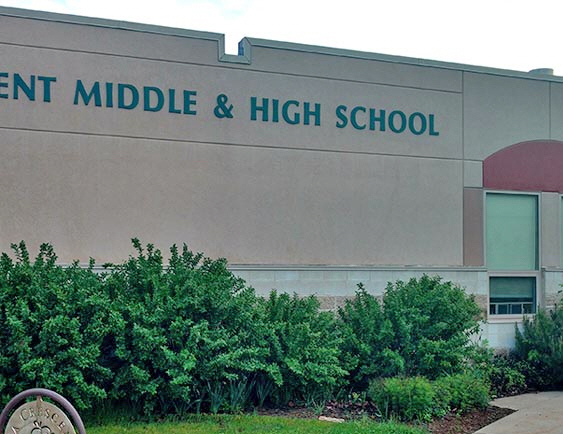 At LMSS, we offer a world-class educational experience for K thru 12th grade. As a public charter school, this experience is free to all Minnesota residents. Tuition based enrollment is available to non-Minnesota residents. We are also proud to offer affordable Preschool options for 3 & 4 year olds in our Children’s House classroom. 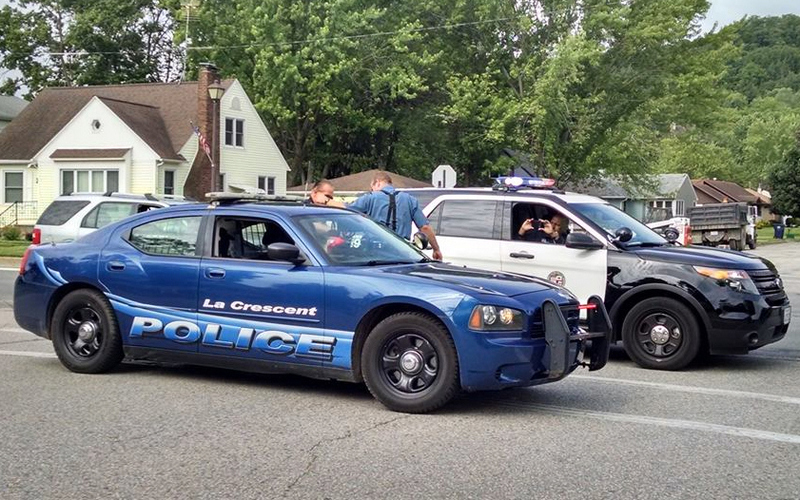 The La Crescent Police Department offers 24 hour 7 days a week protection to the citizens of La Crescent located in Houston County, MN. The department generally consists of seven sworn full-time MN P.O.S.T licensed Peace Officers. Books, movies or music, we have it all. Stop or call anytime and we'll be happy to help. 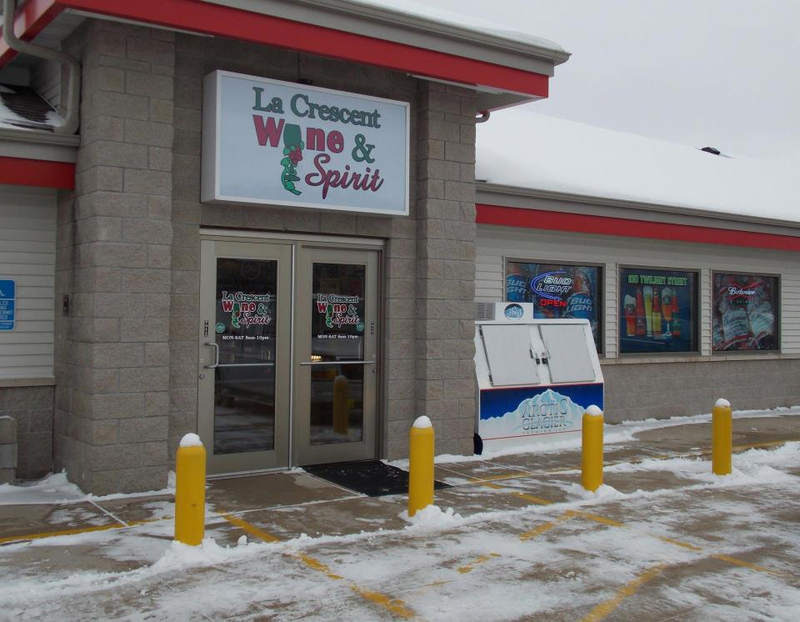 La Crescent Rock Products Inc.
We are committed to bringing the best and most recent Beer, Wine and Spirits to La Crescent Wine & Spirit. We bring in New Products every week and we are constantly scouring the market for the best products to bring in next week! If you can't find the Beer, Wine or Spirit you are looking for, let us know. We'll use our vast resources to locate it and bring it to our store. 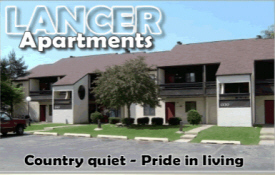 Garden apartments and townhomes in a beautiful landscaped setting only 3 miles from La Crosse, Wisconsin and 4 miles from Onalaska, Wisconsin. 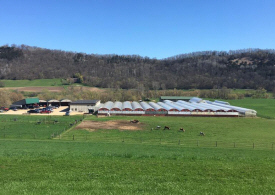 Family owned and operated here on our farm since 1983. 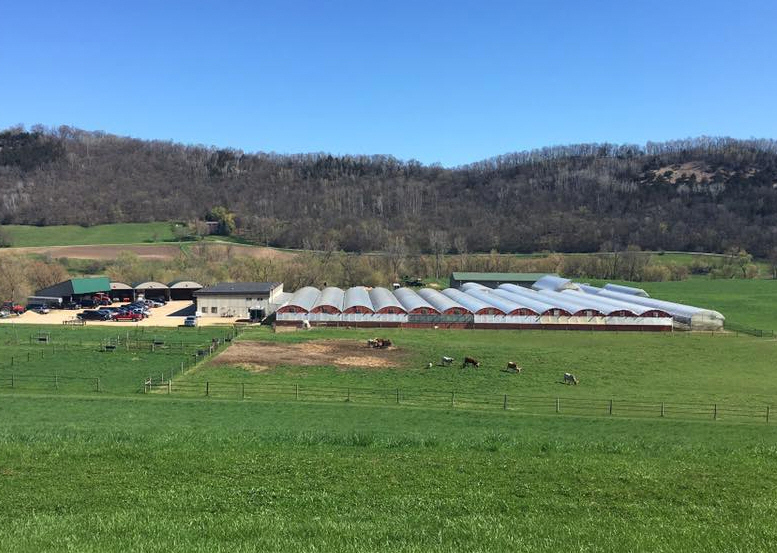 Our plants are raised right here along with our beef selections. Have you always envied your neighbors' yards and wished you could have a beautiful yard yourself? Your wish can come true with help from Marvin Gardens Landscaping. We are a family-owned and operated business that has served La Crescent and the surrounding areas for over 34 years. When you need assistance for making your yard more aesthetically pleasing, we're the company for the job. Weather Forensics is the science of using historical weather records and data to reconstruct past weather events at a specific time and location. The analysis is often helpful in providing context for an accident, determining if conditions could have been reasonably anticipated, or corroborating or invalidating an alibi. 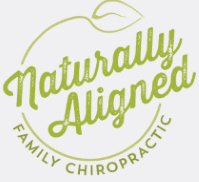 At Naturally Aligned Family Chiropractic, our mission is to serve our patients and community with high quality, affordable chiropractic care in a comfortable and caring environment. Our goal is to educate and inspire people to take responsibility for their health to reach their maximum health potential. Most importantly, our vision is to improve the lives of children suffering from health problems and to inspire parents to become role models. We are the Largest Volume Used Vehicle Dealer in the area! We have sold an estimated 16,950 cars in the last 22 years! On average, we have over 100 vehicles available for immediate delivery. Don’t see what you were looking for? Fill out our On-Line Vehicle Locator form and we will try to find a vehicle for you! Your dancers are sure to enjoy classes from Nicole’s School of Dance. We are a dance studio offering recreational classes and competitive teams in dance styles including ballet, tap, jazz, hip hop, lyrical jazz, musical theatre and pom. Our classes are small to give each dancer more individual attention and see progress sooner. Dance will help build your child’s self-esteem, while having a good time. 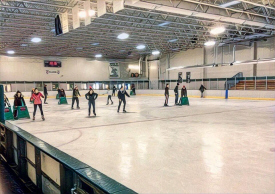 Enjoy our friendly service, experienced teachers, convenient location, and competitive prices. P & T Electric Inc.
At P & T Electric Inc, our attention to detail is what sets us apart from the competition. If your home or business is in need of electrical work, our talented electricians will get the job done professionally and completely. We take pride in being the area’s leading electrical contractor. With years of experience and the most skilled workforce in the region, we provide service that can’t be beat. Pat’s Insurance is an independent Insurance agency established in 1987. The business was purchased from the Milo Runningen Agency and has been located for the last 28 years at 104 Walnut Street, La Crescent, MN. Pat’s Insurance is a one-stop agency that can handle all of your insurance needs. We represent multiple companies and are licensed to do business in both Minnesota & Wisconsin. If you want a quality RV to enjoy the outdoors inside, visit our store to check out RVs for sale in La Crosse County, WI. Our dealers and salesmen are recreational outdoor enthusiasts themselves, so they understand your needs and wants. 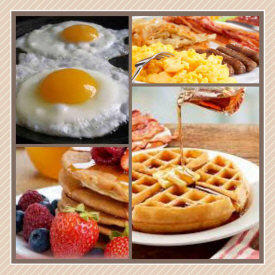 We strive to provide excellent service and prices in a family-friendly atmosphere. Since 1991, we've offered residents of Minnesota and Wisconsin a wide variety of trusted RV brands to enhance future outdoor experiences. The Quillin traditions of great service and quality products at the best savings dates back to 1949. Ed and Greta Quillin opened their first store in La Crosse, WI over 65 years ago with just that vision in mind. They soon grew to locations throughout Wisconsin, Minnesota, and Iowa. You can now find Quillin’s Markets in La Crosse, Viroqua and Reedsburg, WI; La Crescent and Caledonia, MN; Lansing, Waukon, Decorah, West Union, Postville and Monona, IA. When you need to get a lot of people from one place to another, and you need to do it in comfort, style and safety, you need to be ready - to call Ready Bus Company. 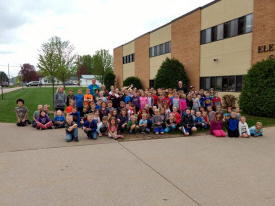 For over 50 years, we've been the leader in group transport services in La Crescent, MN, including chartered motorcoaches, school transportation and so much more. For your annual church retreat, school sports outing, wedding party or any other occasion calling for first-class travel at affordable prices, just say "Ready Bus Company" and you'll be set to go! When you do Sunday Funday. You have to do it right. Bloody Mary Bar. $4.50 double screwdrivers, homemade pizzas, award winning wings, and the Best burgers in town. Come hang out with your friends at the TimeOut. Doors open at 11am!! Small Change Diaper Service is a Cloth Diaper service located in La Crescent MN. Welcome to the Sports Hub, the La Crosse area's Favorite, Locally-owned Sports Bar and Restaurant Join us at the Sports Hub for unbeatable daily drinks and quality food. Stop in if you would like a laid back, neighborhood bar with good food and friendly waitstaff – the perfect last stop before home. 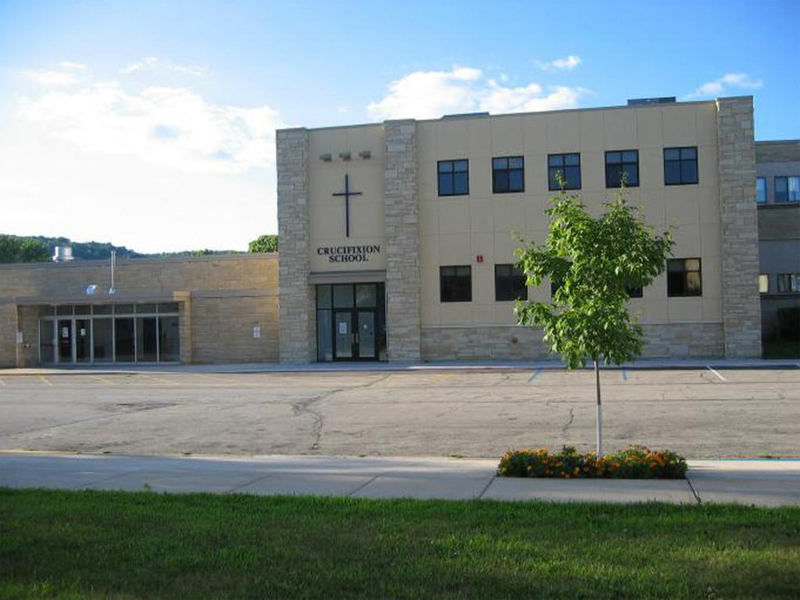 Located on the southwest side of La Crescent with a beautiful view of the bluffs, the location is known to be the sunniest location in town. The initial building phase will include 11 Independent Senior, 25 Assisted Living and 44 Memory Care Apartments. The development will include individual detached garages, walking paths, dining room, lounge, theater/chapel, on-site store, salon/spa, secure courtyard, sun deck and patio. Proudly Serving the Coulee Region Since 1858 Operating as Western Wisconsin's oldest community bank, State Bank Financial has continued to help communities and businesses open, expand and thrive. T & S Carpet Cleaning Service is a professional family owned bussiness that has been around for 40 years. Carpet Cleaning is a great way to remove bacteria and restore your carpet to its true vibrance. Garment Decoration Embroidery, screen printing, digital full color imprints, sublimation, or heat pressed. Garment Decoration Embroidery, screen printing, digital full color imprints, sublimation, or heat pressed. Business Stationery & Invites Save the dates, rack cards, business cards, brochures, folders, AND MUCH MORE! When you have a claim on your auto insurance premium, remember that you have a choice as to which auto glass replacement company you send your damaged car to. TJ's Auto Glass Inc is a network approved auto glass expert for nearly all insurance policies. Werner Electric delivers on solution, supply and support to be our customer’s competitive advantage. We provide our customers with premier products and services matched with incomparable capabilities serving multiple customer markets including commercial, contractor, industrial, OEM and system integrator. Wieser Brothers General Contractor, Inc. is a family-owned and operated firm based in La Crescent, MN. Founded in 1994 by Jeff and Brian Wieser, the company has grown into a full-service, integrated 120 plus person team that includes journeyman carpenters, certified concrete finishers, trained steel erectors, skilled field superintendents and professional project managers, all dedicated to delivering quality construction services. Wieser Law Office attorneys have been serving clients in Southeastern Minnesota since it was founded in 1983 by Al Wieser, Jr. Al assisted his clients for more than two decades in a variety of legal matters before retiring in 2010. 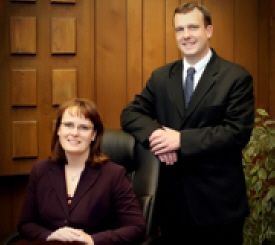 Attorney Kelly Iverson joined the law firm in 2000 with a practice focusing on real estate and estate planning. In 2003, Al "Skip" Wieser III, joined the firm working in all aspects of residential real estate. Skip also practices in civil litigation including family law.